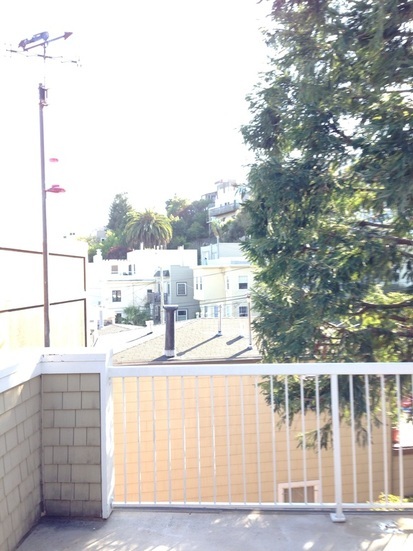 CORONA HEIGHTS TOWNHOUSE APARTMENTS - Corona Heights Townhouse for rent Two Bedroom 2.5 bath townhouse with parking, storage, deck. Dog friendly. 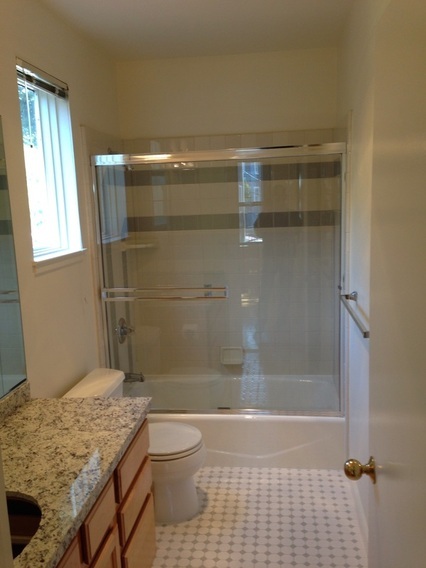 living, dining, kitchen, and ½ bath on the upper level, along with a private, south-facing deck. Southern exposure with lots of light, opening skylight in living room. There is a back yard deck, shared with the other unit in this duplex, in addition to the private third floor south-facing deck. garage storage space, places to hang bicycles, and lots of shelves,. two bedrooms on the second level - each have a full bath with tub, operable skylights for natural light and ventilation, and big closets. 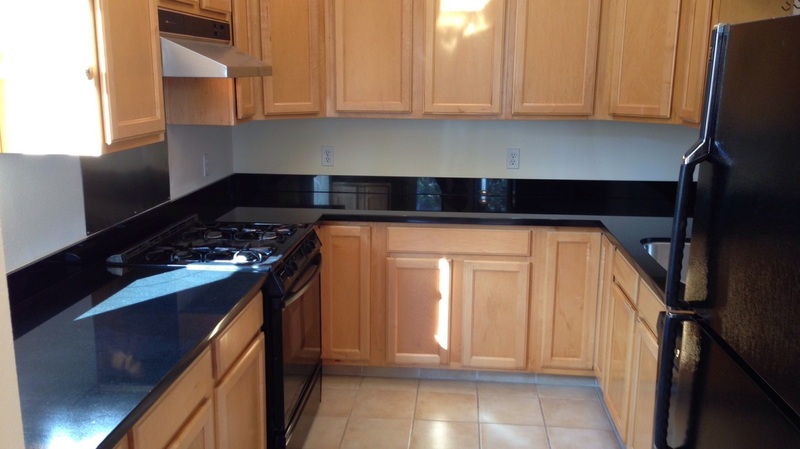 front-load washer, gas dryer, dishwasher, disposal, large fridge with ice-maker, etc. 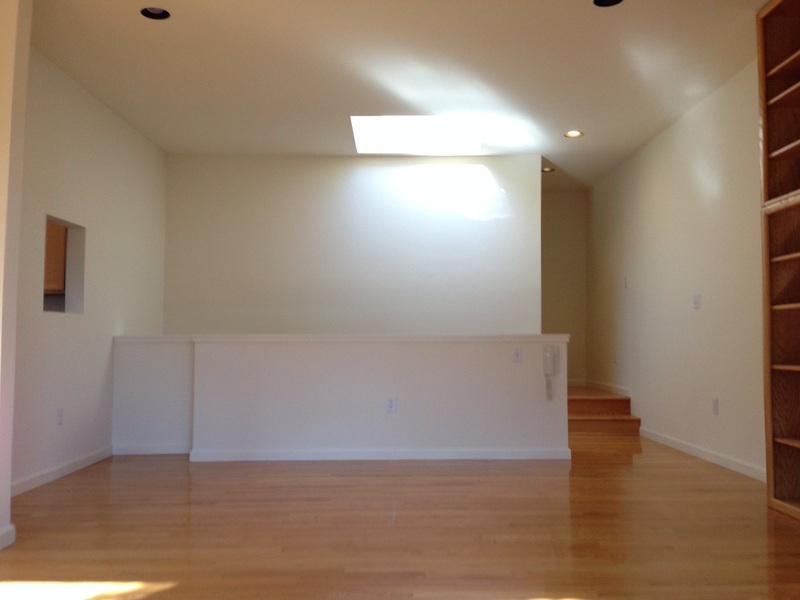 A large opening skylight is above the stairway to the bedrooms. There is a linen closet on the bedroom level. 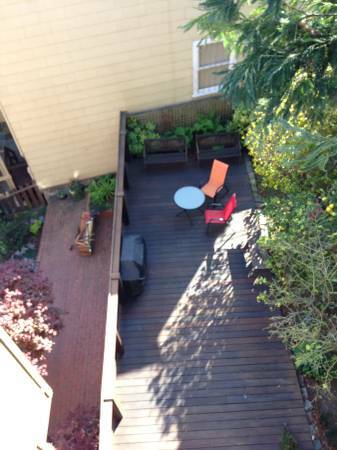 There is a back yard deck, shared with the other unit in this duplex. We do not rent to smokers. Dogs ok. Sorry, no cats. 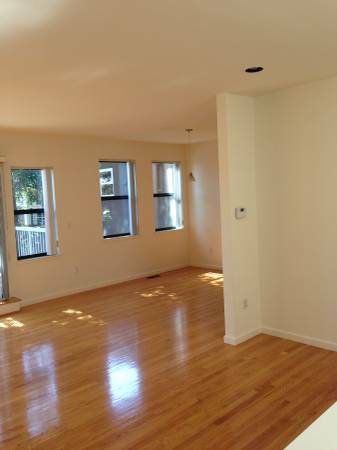 Please email, text 415 513 3504, or call 415 626 5255 with any questions. A large closet and a full bath (w/tub) complete this bedroom. Sunlight! Living room deck faces south. Fog usually begins two blocks west.